This is the most popular programme we offer, and is a critical starting point if you are looking for business growth. The Growth Programme is our most comprehensive, but can be tailored to your individual business requirements. We work with you to define who you are, where you want to go and most importantly how you will get there through market insights, pragmatic strategy, implementation and support. In order to obtain a clear understanding of your current business situation, we initially undertake a range of research, including industry research and analysis, and customer insights research. The industry research and analysis involves analysing current market trends using various databases, desktop research, market intelligence and customer surveys. 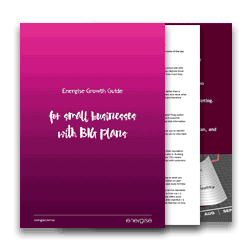 This analysis captures vital insights into your market and allows us to identify future growth opportunities. In conjunction with this industry research we also undertake customer insights research – where we talk to a cross-section of staff as well as current and lapsed customers, in order to understand the interactions they have, and the brand perceptions they hold, of your company. In addition to these in-depth interviews, other techniques we can utilise are focus groups, observations (including mystery shopping) and any other activities you would like researched. Using the knowledge and insights we have gathered in stage one, we work with your team through a series of workshops to set business and marketing goals, develop growth strategies and initiatives with the outcome being a measurable and actionable marketing plan. This becomes your marketing road map – an in-depth plan of how you intend to achieve your marketing goals. We break it down into activities, channels and media that can include advertising, website, signage, radio, TV, trade show activities, and all manner of branded collateral. Each activity is allocated a timeline and a budget which it can be measured against. Once the marketing plan is in place we work with you to manage and action it. We hold regular accountability sessions with you to monitor your progress, and to ensure you keep on track. 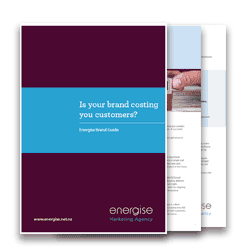 Where you don’t have your own marketing team, or your current marketing team is stretched beyond capacity, Energise is also able to offer and Outsourced Marketing Team to assist. We can provide the skills and experience to successfully activate your marketing plan to achieve results and build brand awareness. Upon completion of the Growth Programme, to further define your brand and customer connection, many businesses also choose to undertake the Customer Experience Programme and/or the Brand Strategy Programme.